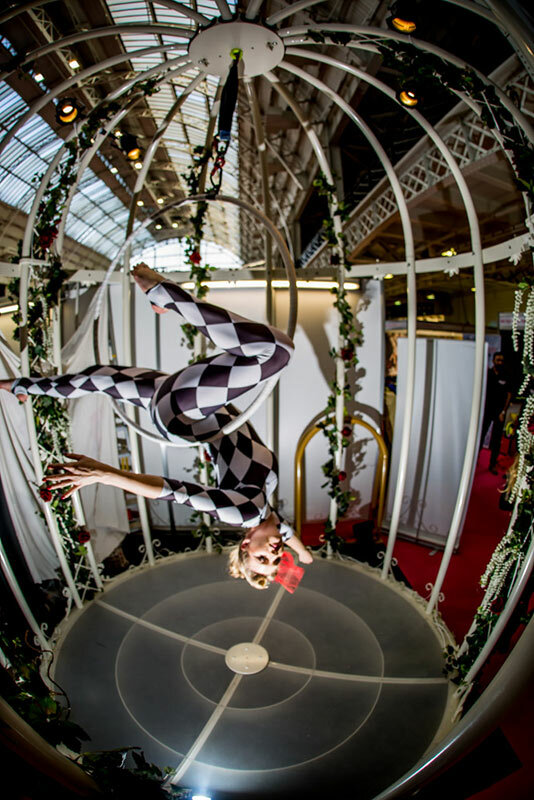 Bespoke entertainment is the name of the game with Contraband, which is why we’ve gone out of our way to produce one of the most amazing party entertainment props you’re likely to see. 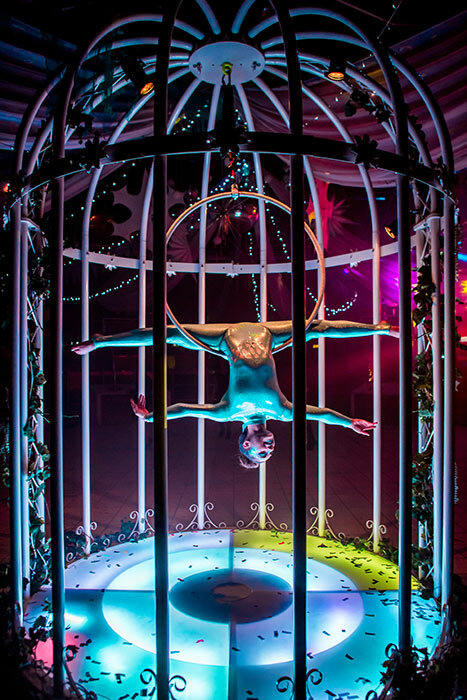 Our Giant Birdcage is a gigantic structure (to our knowledge, the largest in existence) which is able to comfortably house a trained performer. 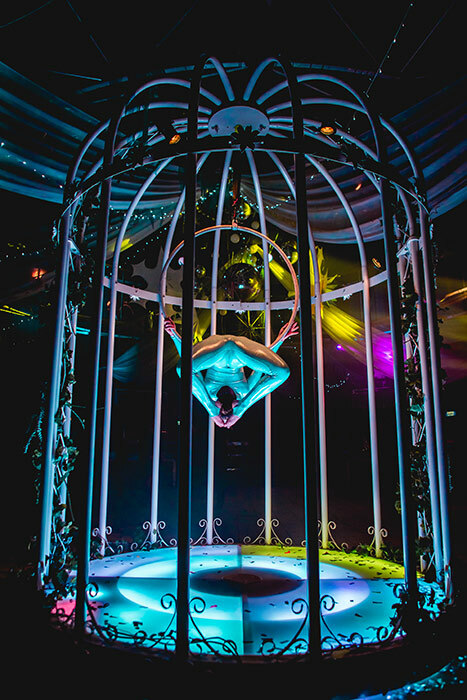 The cage comes fitted with apparatus which allows an experienced professional to perform acrobatic feats of brilliance, or simply sit and sing to a crowd of mesmerised onlookers. Whatever the event, these performers will be able to keep your guests entertained for hours. 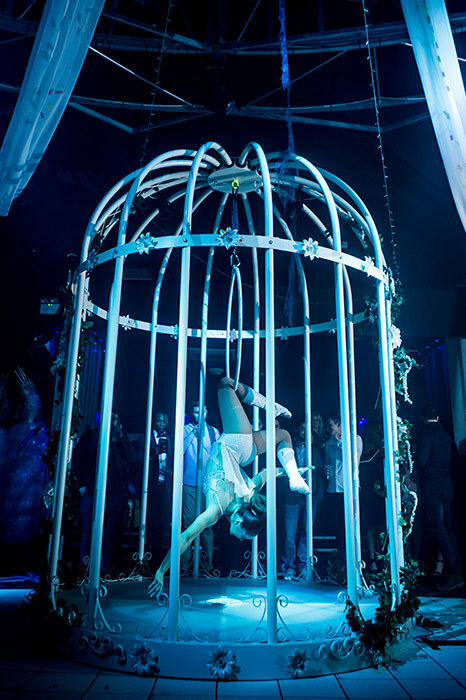 With a height over 3.5m, the giant bird cage is a prop which will transform the ambience and tone of any party in an instant. 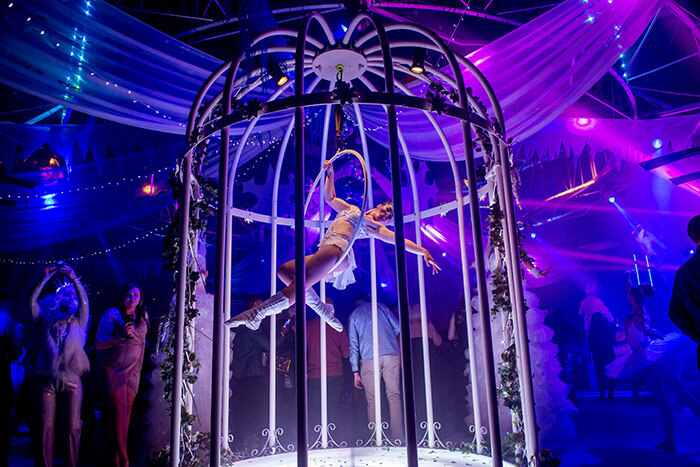 Whether you’re looking to spice things up with a high-tempo performance, or create a classy background display to set the tone of a party, the Giant Birdcage can do it all. ‘Thank you so so much for all your help!! Honestly it was fantastic and the Birdcage really kicked off the circus theme – everyone was talking about how amazing they all looked! Couldn’t have done it without you two. Was a pleasure working with you guys, and I will continue to show everyone the videos I have although it does not do the Birdcage justice!